Cambridge Analytica may have harvested the personal data of up to 87 million Facebook users, Facebook's CTO said on Wednesday, a number far higher than original media estimates. Most of the affected people —over 70 million —were in the U.S., Mike Schroepfer wrote in an official blog post, discussing plans to limit the data accessible by third-party apps. This includes more restrictions on what developers can request through Facebook logins, and what's accessible through Events, Groups, and Pages APIs. 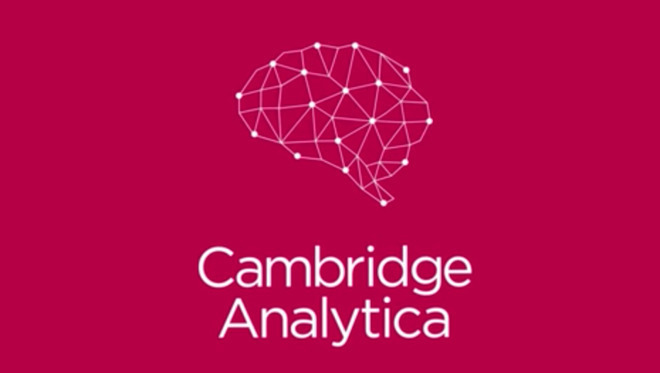 Initial reports from March pegged Cambridge Analytica's data trove at about 50 million users. The political consulting firm abused Facebook's 2014 privacy policies to scrape data on the non-consenting friends of people who used a particular research app. While Facebook later tightened its policies, Cambridge Analytica was able to build "psychographic" profiles of U.S. voters that did not opt-in to the company's data collection. The fallout from the revelations has been severe, not just for Cambridge Analytica but for Facebook and its CEO, Mark Zuckerberg. The company's stock has taken a beating, and executives have been put on the defensive. Zuckerberg is set to testify in front of the U.S. Congress next week. The situation has even prompted a minor war of words between Zuckerberg and Apple CEO Tim Cook. "The truth is, we could make a ton of money if we monetized our customer — if our customer was our product," Cook said recently, adding that he would never find himself in Zuckerberg's shoes. Apple has regularly positioned itself as a pro-privacy company, famously resisting Justice Department demands for a backdoor into iOS, though it has complied with the authoritarian Chinese government on matters of censorship and localizing iCloud data. "You know, I find that argument, that if you're not paying that somehow we can't care about you, to be extremely glib," Zuckerberg responded through a Vox interview. He argued that to build a service "which is not just serving rich people," a free ad-based model is essential. "I don't think at all that that means that we don't care about people. To the contrary, I think it's important that we don't all get Stockholm Syndrome and let the companies that work hard to charge you more convince you that they actually care more about you. Because that sounds ridiculous to me," he continued. In a Twitter post, Cambridge Analytica has denied the scope alleged by Facebook. "Cambridge Analytica licensed data from GSR for 30 million individuals, not 87 million," the firm wrote. "We did not receive more than 30 million records from research company GSR."